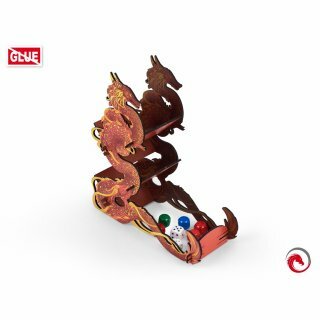 Another of our large dice towers with dragon theme, this time a totally different one. It?s made of high quality HDF, has a new shape, as well as the improved, great looking and detailed overprint. All this makes it perfect and useful decoration for a board game night.